Modifying your home so that it meets the needs of your disability is not as expensive as you think. The Ministry of Health (MoH) provides financial assistance to many New Zealand residents who may need to make home modifications for themselves or their disabled children. If it is difficult for you to get around your home and perform everyday tasks because of your disability, it is worth checking out the MoH’s guidelines to see if you are eligible for financial assistance. Funding is available to those who have an intellectual or physical disability that is likely to continue for six months or more, and that limits their ability to perform everyday tasks without support. In many cases, the MoH will provide funding for children with autism, individuals suffering from neurological damage, and a disability that exists alongside another long-term illness. To determine whether you qualify, you need to undergo an assessment with the Needs Assessment and Service Coordination (NASC). Which Housing Modifications will the MoH Pay For? After qualifying under the MoH’s criteria for assistance, there are further criteria you must meet. First, you must make sure you are not eligible for funding under the Accident Compensation Scheme. It is useful to understand what you can’t receive funding for. It is not possible to receive funding for existing modifications; this means you should seek funding before you begin modifying your home, as the modifications need to meet the MoH’s approval. You also cannot receive funding for modifications that cost less than $200, soft furnishings, general maintenance, or modifications made purely for social or economic purposes. How do You Know Which Modifications Qualify? This isn’t a process that you have to work through alone. Once you contact the MoH and let them know you require assistance, they can begin working with you to assess your needs. This begins with an occupational therapist assessment, which involves analysing the types of modifications you need to get around your home, or the assistance you require to help your child do so. During this process, they can identify the items and installations that are likely to be of use to you. The current upper limit for modifications is $15,334 (inc GST). Your allocated occupational therapist continues to be a part of the modification process until all of the work is complete. Essentially, they act as a support person to help you through the process. As each disability is unique, so are the modifications required. 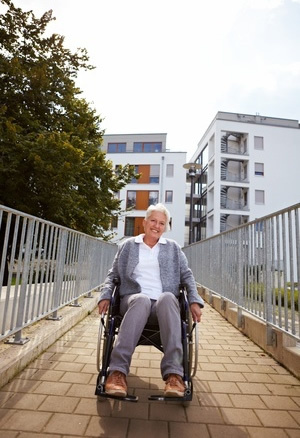 Generally, your occupational therapist will help you decide whether you need hand rails and ramps to help you get into and around your home. They may also find that areas of your home are not disability friendly, such as your bathroom and kitchen. Level access is usually a top priority of the MoH, which means providing baths, showers, and kitchen surfaces that you can use with ease. In the case of adults and older children, it is possible to receive funding for fencing that prevents falls. Usually, this funding is not available for young children. How can you get more out of the funding process? Understanding the home modification funding process means you have done half the work already. After this, educating yourself more on the modifications available to you is necessary. Doing this gives you a good idea of the steps you can take to make life easier. In addition, it allows you to consider what challenges you face on a daily basis, and you can feed this information back to the occupational therapist helping you with your case.